​Zhiling Meng Shea is a first-year Ph.D. student in the School of Education with a specialization in Educational Policy and Social Context (EPSC). 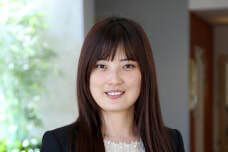 Prior to UC Irvine, Zhiling received her Master’s degree in Public Policy from Brandeis University. She has experience collecting and analyzing both observational and longitudinal data. Zhiling focuses on evaluating effectiveness of early education policy, interventions, and programs. She previously worked at Massachusetts Department of Early Education and Care and developed a strong interest in the socioeconomic and sociocultural factors in early education that creates gaps in program deliveries and impedes vulnerable children from receiving a quality education.